The balcony provided a great view over Surfers Paradise - even though it is situated a couple of blocks from the beach, there were great views of the beach. 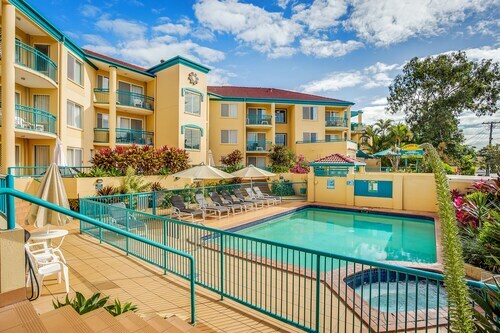 Was really great to have wonderful appartment with secured car parking,was minutes to main beaches ( surfers paradise) ,also our son had good time in pools with us. (Orchid Ave, Surfers Paradise Blvd, The Esplanade) Always clean and tidy, reasonable sized rooms with double beds in a twin room if that's what you're booking and a great pool area with a hot spa which was cold under previous management. Make your flight on time when you stay at a Surfers Paradise airport hotel. Whether you are traveling for business or leisure, nothing is worse than missing an early morning flight. 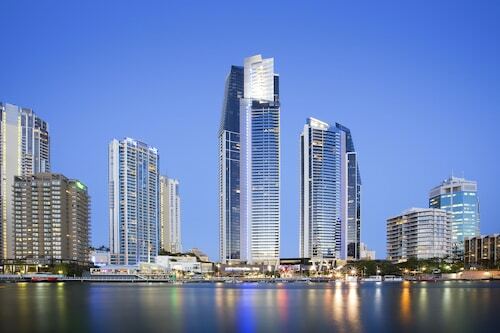 When you stay at a hotel near Surfers Paradise, you know you are just minutes from your departure gate. Maybe you’re heading into Surfers Paradise on a red-eye flight. Booking a hotel near Surfers Paradise means you can make your way to a warm, comfortable bed in no time after landing! 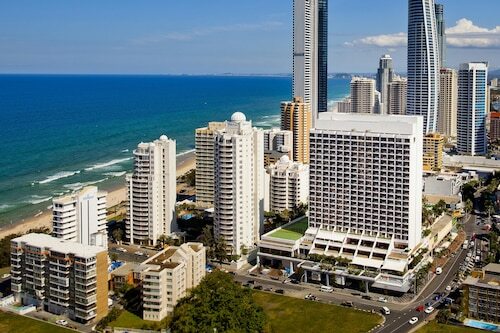 Find plenty of Surfers Paradise airport accommodation deals when you book with us here on Expedia.com.au. It’s easy to choose a Surfers Paradise hotel by viewing our selection of 1257 featured hotels near Surfers Paradise or searching for a hotel by theme, brand, or hotel class.